Maybe you’re the type of homeowner that has a fully-stocked toolbox. Perhaps you’ve the type of person that can install shelves and unclog a garbage disposal in the blink of an eye. We get it. You’re handy around the house. Yet at the same time, that’s not to say you should attempt all household repairs yourself. HVAC repair is one of those things. If you’re not an experienced heating and cooling equipment technician, this is exactly the type of job you’ll want to leave to the pros. 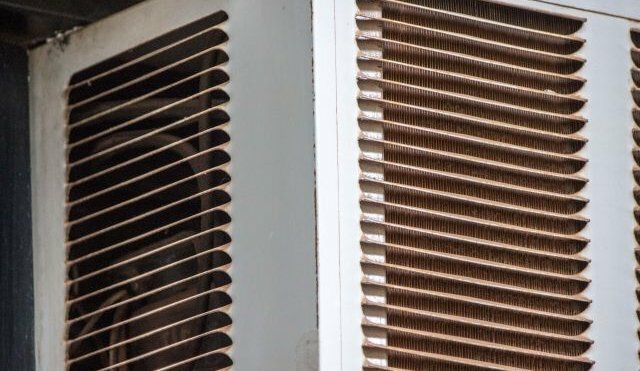 To start with the most obvious reason you should avoid DIY HVAC repair, there’s a really good chance you’ll do more harm than good. If your car broke down, would you attempt to repair the engine yourself? A vehicle’s engine has a lot of moving parts and when something stops working, there are any number of things that could be the roof of the problem. As such, we’re guessing you wouldn’t try to fix your car yourself because you realize that just because you can pull up a pile of YouTube videos, this type of job is best passed onto someone who is experienced in this area. The same holds true for your in-home heating and cooling equipment. Just because you’ve been able to find an online “how to fix it” video, that’s not to say you should attempt it. Just say no to DIY repairs. Another key reason to leave this job to an experienced HVAC technician relates to the system warranty. The equipment manufacturer will offer a warranty because they’ll expect that the machinery is being taken care of properly. If you try to fix it yourself, and you make the problem worse, you can kiss your warranty protection good bye. Not to mention, if your HVAC still has a warranty, you probably won’t need to incur an out of pocket cost to have a pro give it a once over. Would you let your dentist repair your roof? This sounds like a silly question, because, well, of course you wouldn’t hire your dentist to reroof your home. Everyone specializes in different fields of work for a reason. Just because you’re an accounting whiz, that’s not to say you’re a qualified heating equipment repairman. Lastly, if you’re in the process of applying for a new homeowner’s insurance policy (or it’s time to update the one you already have), the insurance carrier is likely to ask you to provide them with maintenance records. Why? Because they’ll want to make sure you’re taking proper care of your home. If you attempt a do-it-yourself repair, you’re bound to cause problems. If you need help with HVAC repair in Longmont, CO, call Comfort Pros today to speak with a licensed HVAC repair technician in your area. Call today to learn why we’re the most trusted service provider in the region.